I dove head first into Grishma with no expectations. At the time, I wasn't familiar with the author's work or the concept of a magical land called Necoh. A land that was haunted by ferocious creatures, Grishma being the most infamous of them all. All I did know, was that it had an absolutely gorgeous cover. That alone, gave me enough motivation to jump at the opportunity when the author asked me to read and review her debut. When I first started off the novel, I found Brooklyn to be a pretty likable character. Her love-hate relationship with her brother reminded me a lot of how normal, everyday siblings acted. Although they constantly teased and embarrassed each other whenever the opportunity presented itself, you could clearly see that they loved each other underneath. However, my respect for her started to dwindle when she blew up at one of her best friends for going after her crush. I don't deny that it's normal for someone to get angry when their best friend does something like that, but if you've been friends for nearly your whole life, you should at least hear out their side of the story, before jumping to conclusions and calling them sluts. As the novel progressed, I began to like her less and less. When she was taken to the castle after being mistaken for the runaway Princess Sophie, she handled situations poorly and failed to catch onto important details until it was too late. She was weak, and although she wasn't the worst heroine I've ever read about, she was definitely close to the bottom. The romance between Ryder and Brooklyn wasn't realistic at all. Although there wasn't a straight out Insta-Love connection, it was close enough to be labeled one. One of those, "As soon as we made eye contact, the world stopped spinning and it seemed like we were the last two people on the planet," moments. If that wasn't bad enough, even though Ryder and Brooklyn were separated for nearly 90% of the novel, they just happened to be unconditionally and irrevocably in love with each other at the end. Attraction to a hot guy is completely normal, but you can't actually fall in love with someone until you get to know them first. Although there was always something happening in the novel, I was never engrossed with the events that were occurring. There were a countless number of times when I just wanted to turn off my Kindle and hope to somehow be magically in love with the plot the next day. Actually, this was probably the longest time it took me to read a book, excluding classics I'm forced to read for school, of course. xD In fact, if Sophie or Ryder had died somewhere along the way, I probably wouldn't even have noticed or wouldn't have been able to bring myself to care. 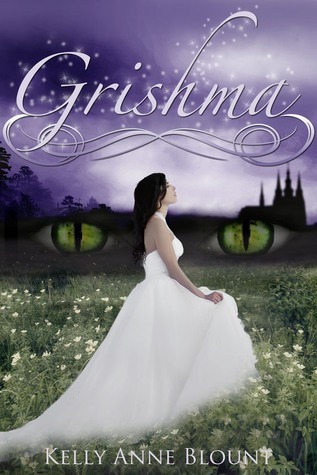 The one saving grace for Grishma was the author's writing style. Surprisingly, it flowed pretty well and reminded me of that of a much more experienced author. However, although I was pretty impressed with that part of the novel, there were still a few flaws. One minor flaw that didn't bother me too much was the grammatical and spelling errors. I'm no genius when it comes to punctuation and grammar, but I do know enough to be able to tell when a word is spelled incorrectly. However, although those errors are inconvenient, I don't mind if there spaced out and only happen once in a blue moon. Another thing I had a problem with was the overuse of exclamation points. For some reason, the majority of self published authors and authors from smaller publishing companies are in love with the idea of using exclamation points, even when there not necessary. I mean, I don't mind a couple here and there to indicate yelling or to exaggerate a certain line, but when you insert exclamation points consecutively on almost every single page, then I get aggravated. When I read a book, I usually play the speaking parts in my head, imagining what they sound like and which parts of the sentence are stressed (Am I the only one who does this? O.o). It detracts from the story, when every single character speaks like a caveman. Overall, Kelly had a great and unique concept, but failed to execute it in a believable manner. To this day, I still have no idea what Grishma looks like and can't even imagine the land of Necoh in my head. Although the romance wasn't exactly what you would call an Insta-Love, it was very close to one. It pains me to write a bad review for a book that had so much effort and time put into it, but I guess it's something that every reviewer is faced with sometime in their blogging career. I've been literally cringing the whole time I was writing this review. >.< I have no doubt that many readers will find the world of Necoh to be an alluring one, but I was definitely not one of them. I agree with everything in your review and I didn't even get past the 20% mark. Brooklynn completely threw me off with that reaction towards her friend and the way she talked...At times it was like she was in the 1800s and others her actual age, and at the same time really childish. I didn't review it since I couldn't finish it, but it probably would have been the same as this one.